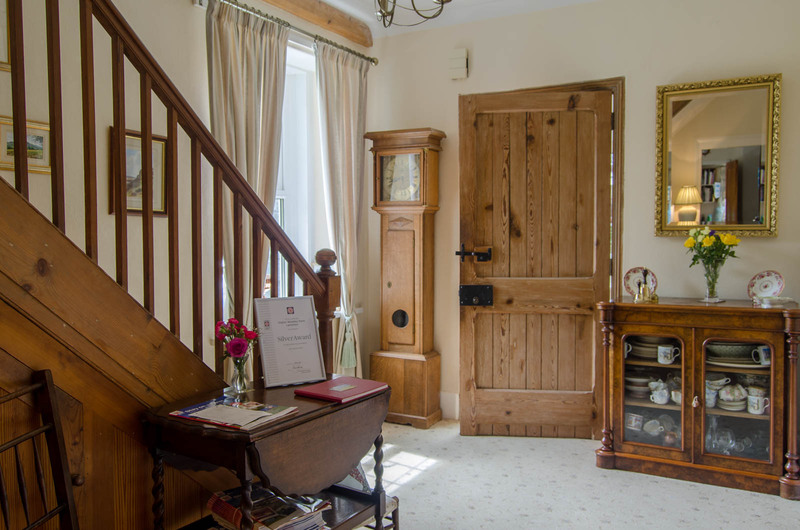 Welcome to Higher Woodley Farm Nestled in the heart of the Tamar Valley. Time to relax or to take full opportunities of all that our area has to offer. The approach to our farm is off a traditional Devon lane with hedges that in summer are filled with wild flowers and foliage. We are a working dairy farm. My husband Peter and son Philip milk 100 cows and rear all the heifer replacements. There are 3 public footpaths around the farm which take you to the Tamar Valley trails which make a great ,walking,cycle or even a Zip wire for the adventurous. 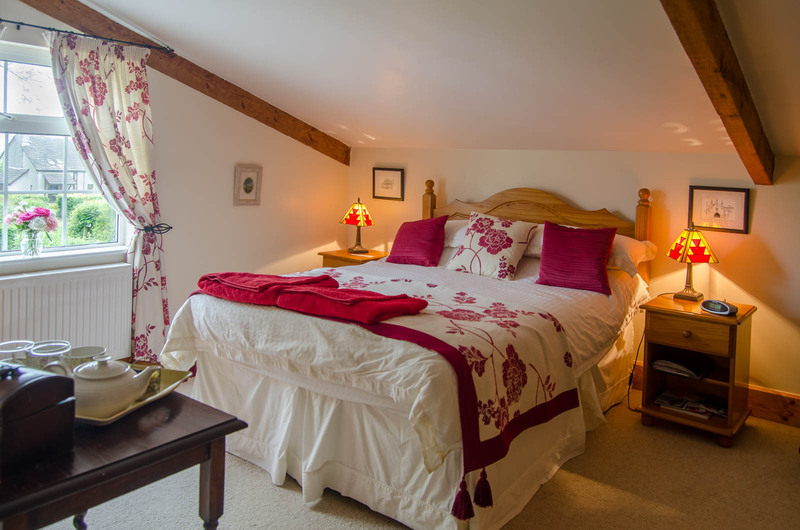 Higher Woodley has three beautifully appointed en-suite bedrooms with views over the Devon and Cornwall Countryside. The peach room has double aspect windows. The en-suite has a bath plus a power shower. 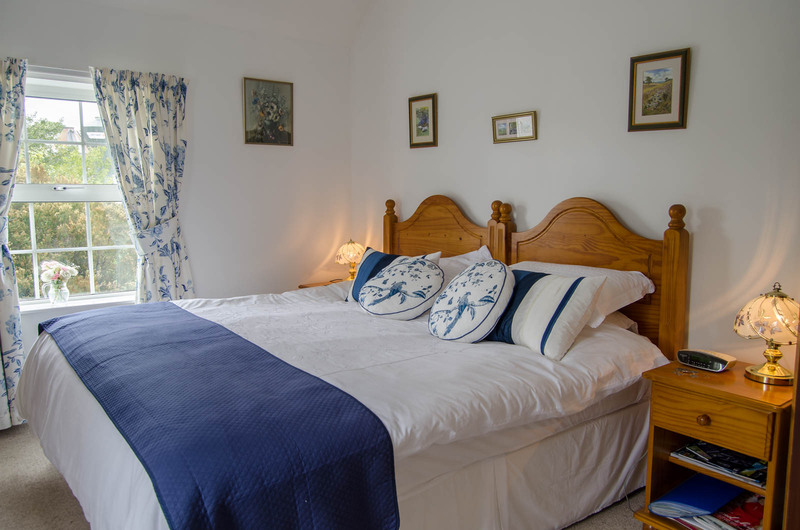 The peach and blue room make ideal family rooms also as they are separate from the main rooms upstairs and opposite to each other giving parents and children the opportunity to have their own rooms but to be near each other. Our blue room is our twin room but these beds can also be made into one super king size bed. Our Red room is approached from its own staircase and has the original beams. 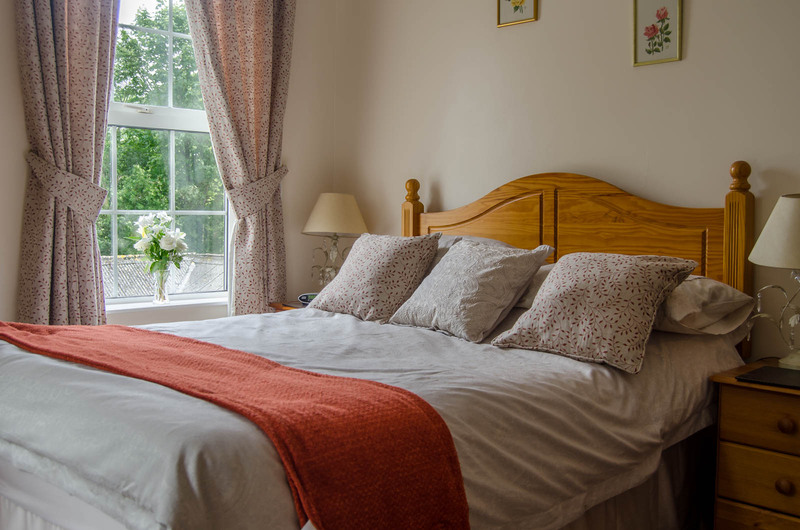 All our rooms are fully co-ordinated and equipped with a range of lovely toiletries, bath robes and a variety of teas and coffees. Guests have a separate dining room where our Breakfast award winning menu is served. Our food is locally sourced locally as much as possible. This includes Cornish dry cured bacon and Mr Howells award winning prize sausages, free range eggs and Primroses homemade marmalade. 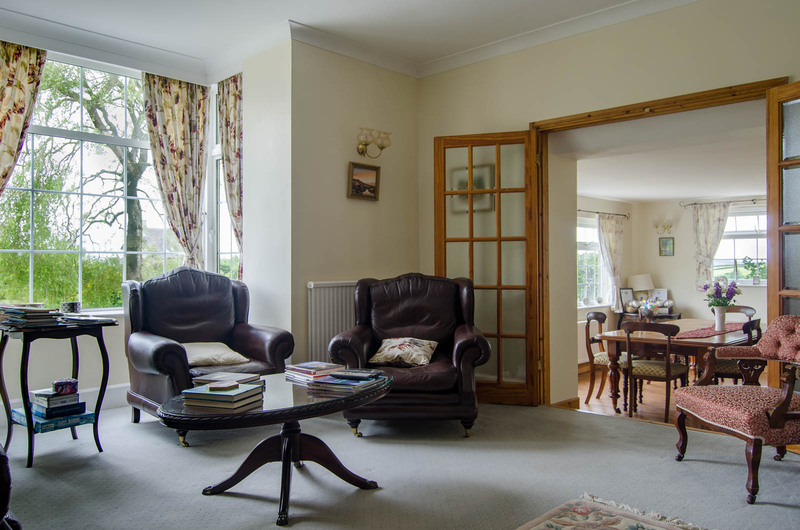 There is a separate guest sitting room where a tray of tea and homemade cake is served on arrival. A wide range of books, maps and literature is available for guests to browse through. plan Plus a log fire for chilly evenings. Free Wi-Fi is available. The garden is well stocked with rose flower beds and herbaceous border, garden furniture to sit and relax to enjoy the peaceful surroundings. Higher Woodley has ample level parking. There are two inns nearby one within walking distance and the other a short 5 minute drive away. There is also a variety of excellent restaurants in Tavistock and surrounding villages. We are situated only 3 1/2 miles from the ancient Stannary town of Tavistock. National trust properties, including Cotehele, Buckland Abbey, Saltram and Lydford Gorge are only a 20 minute drive away. Dartmoor National Park is on our doorstep with its stunning landscape and walking opportunities. Golf and fishing are nearby Horse riding on Dartmoor. 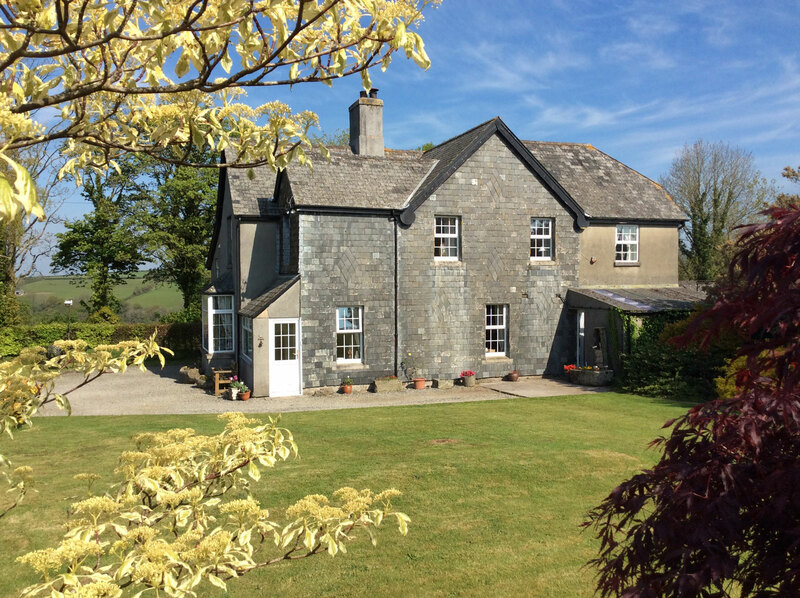 For garden enthusiasts The Garden House is at Buckland again only a 20 minute drive away. The north and South coast are approx. 45 minutes away along with the Eden Project and the Lost gardens of Heligan making us an ideal base to holiday in Devon and Cornwall. I very much look forward to welcoming you to Higher Woodley Farm and sharing with you our beautiful part of England.